Milwaukee Tool Shockwave™ Impact Duty™ Power groove magnetic nut driver bit features steel construction. This driver bit of overall length 2-9/16-inches, has socket of size 7/16-Inch. It comes with strong magnetic tip for secure grip. This driver bit has color-coding for easy size identification. 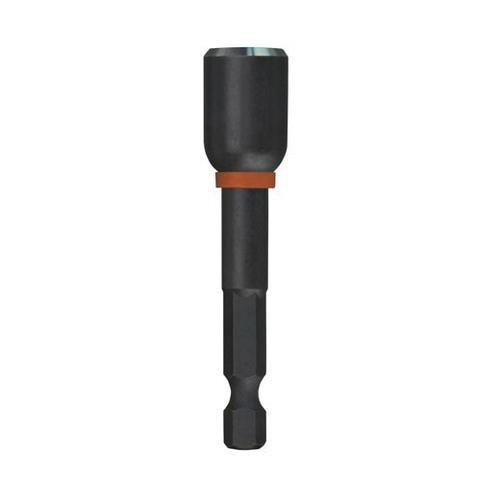 Chamfered edge of this driver bit offers fastening in tight spaces.